Spacious 2-story in popular Brittany Hills! Grandiose entrance foyer w/ 2-story ceilings, built-ins and powder room. 2 separate living spaces, formal dining and open kitchen/breakfast room. Master bath has been completely redone and convenient bedroom level laundry room. Basement is the perfect rec room and can easily be finished off for additional living space. Lots of storage and new HVAC/water heater! Rare 3-car garage and prime location just minutes from schools, parks, retail and restaurants! North on Ridgeview at 119th. East on 116th Street (Entrance to beautiful Brittany Hills subdivision). Home is on the corner of 116th and South Parkwood Drive. 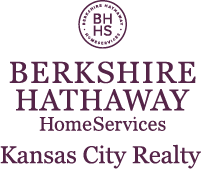 I am interested in 11602 S Parkwood Drive, Olathe, KS 66061.